With Craig Lowndes retiring at the end of this season, Steve Richards will need a new endurance partner for 2019. But that doesn’t necessarily mean the now five-time Bathurst 1000 winner needs to leave Triple Eight. It’s quite a remarkable situation when you think about it. 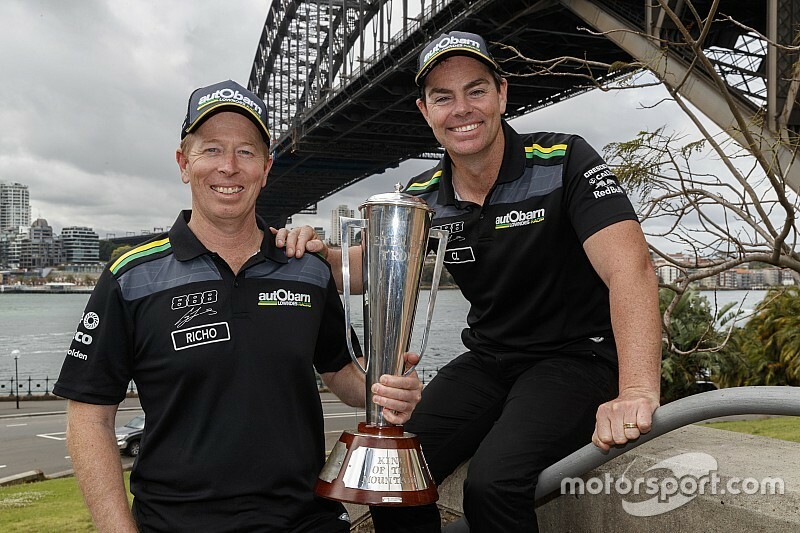 Craig Lowndes, the primary driver in what was ultimately a comprehensive Bathurst winner, doesn’t have a full-time drive for 2019. And that has directly led to Steve Richards, now a five-time Bathurst winner after a near flawless supporting role alongside Lowndes (apart from that near miss on the way into pitlane early Sunday afternoon), being heavily tipped to miss out on a T8 seat next year. 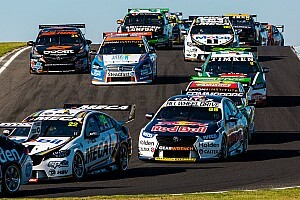 However there is a way that Triple Eight could keep both of its Bathurst winners. Having known since Townsville that an enduro driver silly season is coming, Richards has played the ‘all options open’ card to perfection. 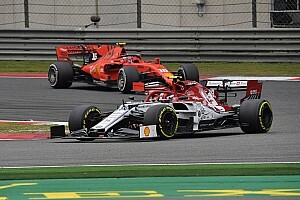 After finishing third at Sandown, moments before the news of T8’s slimming back to two cars broke, he spoke of wanting to stay within the set-up but being willing to move if needed. Come the end of the Bathurst 1000 he was in full ‘shopping around’ mode, spruiking that there was a Bathurst winner for hire. “I’ve got to go and ring up a few people because I don’t think I’ll be able to drive again with Triple Eight next year,” he said. “I’ll be on the phone after the Gold Coast. “Every year’s different, isn’t it? It just gives you another opportunity to have another crack with someone else. “You do the best job you can while you’re here in the moment and then once we get the Gold Coast over with, you go and look for other opportunities. That’s essentially what I’m about. This isn’t Richards’ first rodeo when it comes to putting himself on the market. That message was for everyone in the paddock, including Triple Eight boss Roland Dane. There are three likely scenarios when it comes to Triple Eight’s enduro line-up next year. 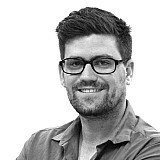 The first is that Roland Dane decides to leave the dynamite pairing of Jamie Whincup and Paul Dumbrell alone, which would mean Lowndes would slot in alongside Shane van Gisbergen at the expense of Richards (and an Earl Bamber type). 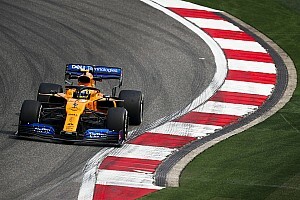 The second is that Dane re-establishes one of his team’s defining partnerships and puts Lowndes in with Whincup, while continuing the theme of bringing a Red Bull-friendly ‘international’ – like a Bamber or a Matt Campbell – in alongside van Gisbergen. Then there’s the third option, the one that keeps both Bathurst winners in the team; Whincup and Lowndes in #88, van Gisbergen and Richards in the #97. 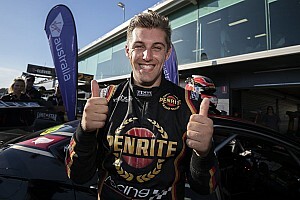 Height-wise Richards is as good match as you’ll find for a skyscraper of a bloke like van Gisbergen, and what a proven performer to team up with a guy whose CV is crying out for a Bathurst 1000 win. It makes more than enough sense. Remarkably, two of those scenarios leaves Dumbrell without a drive. That’s partly of his own doing; The man known as ‘PD’ is still clearly the class of the co-driver field, and could arguably have his pick of the seats up and down the lane if he wanted. You’d perhaps even consider him first choice to head across the garage and join van Gisbergen if he wanted to. But there’s a lingering sense that he’s not interested in that. It feels like if he could drive with Whincup, he’d go around again. But if he can’t, he won’t. 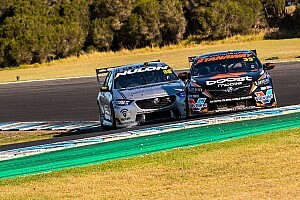 “It is what it is,” said Dumbrell on Sunday night. “We’ll sit down, RD and I, as we always do after Gold Coast, and make the call. But it could be the last time. “Jamie and I, seven years together, we’ve got a good partnership. PD staying would be the worst case scenario for Richards, but even then it’s not all bad. I mean, if you’re got to hit the phones and shop yourself around, you may as well do it as the reigning Bathurst winner.